Knowing how to set goals for yourself is a skill that certainly needs to be learned. It is seldom that anyone would succeed from thinking up a goal or two and believing that is good enough! Writing a list of goals from thinking ‘off the top of our head’ is not the way to approach this task. Goal setting is a serious matter. Whatever the project, be it business, sport, striving for educational qualifications or other achievements, goals need to be significantly addressed. To set goals that will be of benefit, the first step is to give careful and timely consideration to the process. How the goals will be achieved is a second step to look at. Although, if goals are correctly set and adequately maintained, achievement should happen automatically, within a set time frame. Regrettably, the process is not always so simple as that. Because you are reading this post, no doubt you are interested in becoming an affiliate marketer and knowing what you need to do be successful at affiliate marketing. Setting goals for yourself as an affiliate marketer is definitely a wise move towards building your first website. This will help with developing your website to the level of supporting a successful business. You have already made the decision to be an affiliate marketer. Your next step is to set your goals. Be honest with yourself about what you goals are. How much time and effort you are prepared to commit to so as to achieve the level of income you desire. It is better to under-commit, rather than over-commit. Think carefully about how much time you currently have, and allow for interruptions that can’t be avoided. By under-committing your time you could achieve your goal earlier than stated. This would lead to satisfaction and moving forward with a new and greater goal. Set your goal to a measurable level within the time frame of the goal. Don’t plan to earn $100,000 within 12 months unless you are already half-way towards such a target. 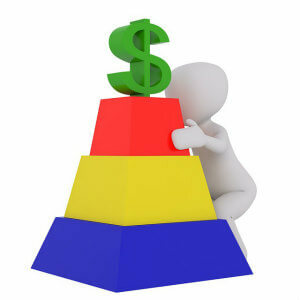 If you are a beginner at affiliate marketing, set your income goals at an measurable level. For instance, your first goal in respect to income might be: ‘My earnings are $300.00 for the past 3 months’. You need to write your goals as though they have happened. Measuring the success of your goals in relation to your skills as an affiliate marketer is important. When learning a new and legitimate method of earning an income, practicing patience is of utmost importance. Don’t be concerned about earning just $300.00 in 3 months. This is relative to starting a ‘first time ever’ affiliate marketing business. 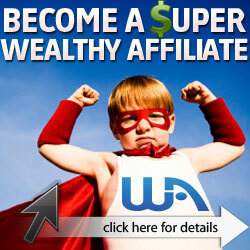 It also relates to your dedication to being successful at affiliate marketing. Okay, that amount may not sound glamorous. But, remember that you are on a new venture. This particular venture is exciting. It will lead you to being the owner of a successful affiliate marketing business. So earn that small amount. Then set a greater goal for a longer period of time. It is true that with careful goal setting, planning and following a well trusted program that provides great training, a higher level of income is possible within those first 3 months of publishing your new website. Don’t set goals above the level of your foreseeable understanding of the process. Make sure your goals are relevant to the niche you are working in. If your niche is about how to build a dog kennel, don’t waste time and effort on setting goals around an unrelated niche such as the best bed for a cat. Set goals that are reachable within chosen time frame. I’ve heard recommendation of sharing goals with someone so they can help you to keep your commitment. I don’t absolutely agree with that. I believe setting goals is personal and does not need to be shared. However, if your nature is such that you need the support of another person then, by all means, share your goals. A suitable niche (subject) for your website. How you will build your website. WordPress is recommended. The length of time to find a suitable niche for your website. This will vary, depending on what ideas you already have in mind. Having decided on the niche of your website you need time to find affiliate marketing programs. Now it is time to build your website. This can be built very quickly, or it may take longer depending on the process you follow. Overall, this procedure may have taken anything from one day to two or three weeks, depending on the effort you have made, and time you have spent on the process. When your website is up, you need to place content on it You will need 3 to 5 pages, and ongoing posts. Ideally, content will be posted at a minimum of two posts per week, and preferably more often than two. I highly recommend reading Brian Tracy’s book about Goal Setting. Brian Tracy is a Motivational Speaker and Author of over 70 books. Each one of these books teaches the reader how to live a successful life. And, this applies to those who have struggled for years to change their life. You can learn from Brian not only how to set goals, but how to change your life for the better. I have followed Brian’s teachings for many years. His books are the best I have read within the subject of personal development, which includes goal setting. It is important you are aware there is much work to do before a website is earning a reasonable income. Therefore, this goal needs to be set as a ‘Long Term Goal’. You will, or can expect to, make some income after a few months and a significant income after a year or two. However, this will depend on the amount of effort and work you put into building your affiliate marketing business. Therefore, when setting your goals, place strong importance on being realistic. As the saying goes, “Rome Wasn’t Built In a Day“. It is important to understand that unless you set goals for yourself it is likely that you are working in the dark, so to speak. By setting goals, along with a clear plan of where you are going with your affiliate marketing website, you have every opportunity to earn an income sufficient to meet your needs. In fact, as an affiliate marketer you have the opportunity to earn greater than what you need. The amount you earn in affiliate marketing is the result of your efforts to make your online business a success. There are no boundaries. Your success is up to how you set your goals and apply yourself to your business. Goal setting is very important. During my career in construction, I found that the most important part was the upfront planning i.e. goal setting. Without goals (or plans) there is no “road map” to set direction and measure progress. Everyone just runs around getting in each other’s way. Thank you for reminding me of the importance of proper goal setting in the affiliate marketing business. It is just as important as in my previous work. Your article is well thought out and organized. I will immediately set out my affiliate marketing goals and do the upfront planning needed to achieve them. I’m pleased you found my post helpful. It’s true that no matter what our business is, goal setting is vital to success. Thanks very much for your comment. I greatly appreciate it. Hi Valerie, very sensible to set achievable goals. I know when I set a goal as “I am going to earn $100.000 this month, my conscious will not believe me and when I don’t believe in it myself, it will certainly not happen. You can affirm every day, that you make that kind of money, but it will not work if you don’t believe in it for the full 100%. So, only set goals you believe in you can reach them and increases these goals step by step. Thanks very much for reading this post and leaving your comment. I totally agree with what you say about believing in the goals we set. Amazing things can happen when we have strong belief in what we are aiming for. 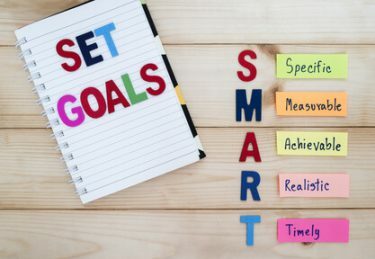 Your goal setting technique is so well thought out. I do so agree with you about goals sharing. It is personal, yes, but some of us need that ‘push’ to get them going. On the other hand, they may need a pat on the back for doing a good job to be motivated. Yes, it is up to the individual. I really love reading your article. It is very pleasant and easy. I do agree with you that a push and/or a pat could be appropriate for some people to get started with their goals, and to recognize their achievements. Clearly, I hadn’t given enough thought to how others cope with goal setting. Thanks so much for your input. I greatly appreciate it.